When Whitedot first introduced the Ragnarok in 2012, it was reportedly a beastly ski with a very stout flex. In Norse Mythology, Ragnarok refers to an epic battle of the gods that eventually leads to mass destruction of the world. So it would seem that the Ragnarok would be a powerful ski that seeks to destroy big mountain lines and any conditions in its path. However, over the years, Whitedot has revised the Ragnarok to make it more approachable (and the current iteration comes back unchanged for 18/19). Whitedot now describes the Ragnarok as an accessible big-mountain ski — a “fun-charger” optimized for 3D snow, but designed to handle all snow conditions with confidence and speed. In our Buyer’s Guide, we mentioned the Ragnarok’s excellent suspension and the confidence-inspiring landing platform provided by the strong, even flex pattern. We also acknowledged that groomers and moguls were not the forte of this ski. So, here we’re going to delve into the details of these traits and expand on just how ‘fun’ the Ragnarok is, and just how hard can it charge. This is a strong, round flex pattern with not much difference between the shovels and tails. This even, round pattern is something that I’m generally fond of, as it tends to help give a ski a well-balanced feel. 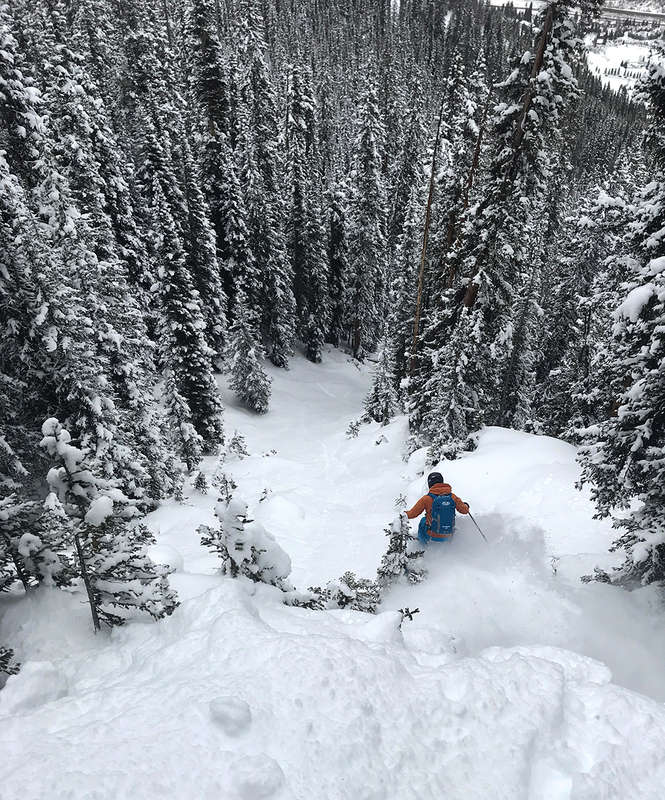 In comparison to other hard-charging, powder skis, the Ragnarok is a bit stiffer in the tip and tail than both the 14/15 Blizzard Bodacious and the Moment Governor. Despite its somewhat unusual rocker profile, the Ragnarok does not exhibit any unusual behavior when carving. It enters and exits a turn quite naturally, albeit with a rather long turn radius. Even when on edge and deep in a carve, the Ragnarok’s running length feels a bit short. That said, it still holds onto a carve well, even as the snow begins to clump up into piles. And how about the “fun” aspect? When I think of having fun on groomers, I think about the energy and pop I get out of a ski when loading it up in a turn. The Ragnarok doesn’t produce a lot of this energy or pop, which isn’t entirely unexpected considering its lack of camber. So, while I wouldn’t reach for the Ragnarok to get the most out of fresh morning groomers, it carves competently on firm snow and doesn’t exhibit any alarming traits. And, that’s about all I ask of a ski that’s 118 mm underfoot. Honestly, if a ski this wide doesn’t ski powder well, then it’s time to go back to the drawing board. But the Ragnarok skis powder better than “well.” Its performance in untracked snow is superb. The Ragnarok is very stable when laying out long turns at high speeds on an open face. And, as we mentioned in the Buyer’s Guide, it’s very forgiving on landings, whether airing large cliffs or small pillows. Land too far back or forward and it’ll push you forward to center. Brian Lindahl on the Whitedot Ragnarok. These are important traits for someone who skis big mountain lines, but what about tighter terrain? While there are looser and surfier skis out there (e.g. the Salomon QST 118), the Ragnarok is still relatively easy to slash, shut down, and change directions. Overall, in fresh snow, the Ragnarok’s maneuverability is still fairly accessible, which can’t be said for all hard-chargers. The Ragnarok’s performance in soft chop is also excellent. 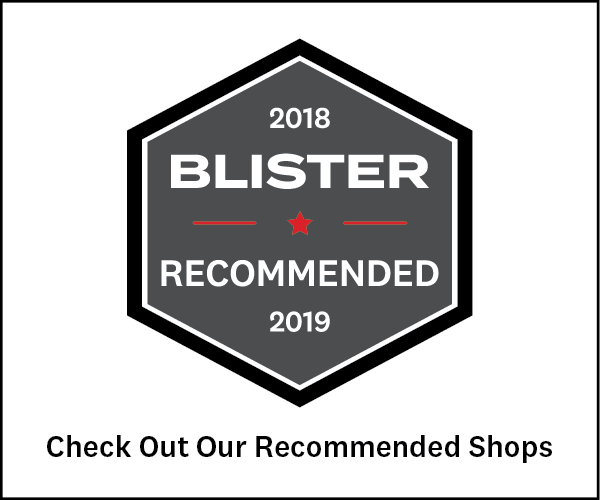 Its suspension is top-notch and the strong flex provides a stable platform to stand on and blast through clumps of day-old powder, whether deep in a carve or running bases-flat. On the Ragnarok, airing off cornices at full speed right into cut up snow also felt great, just as it did in untracked powder. 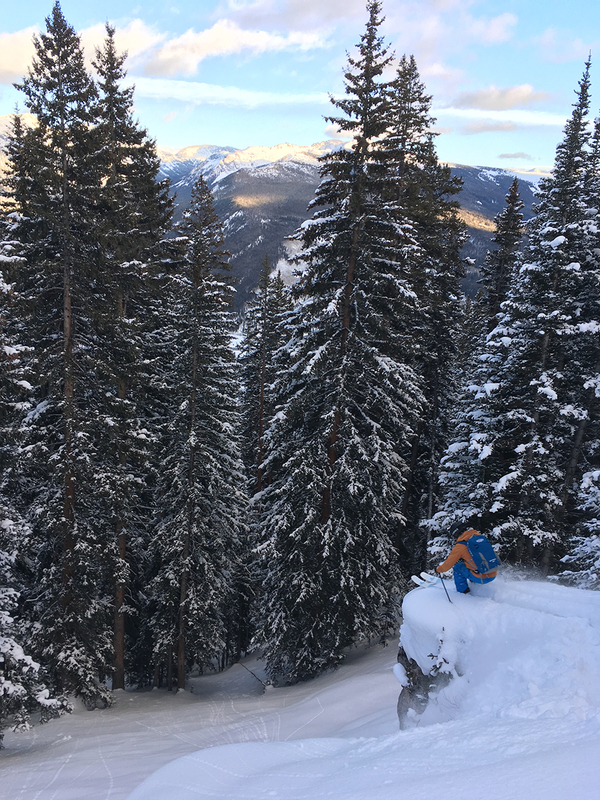 And, when I started getting tired, the Ragnarok responded well to making slower and more deliberate turns through the soft chop — its accessible maneuverability is not just limited to untracked powder. Again, there are easier-going powder skis for these conditions, but I haven’t been on one with a top-end comparable to the Ragnarok. The Ragnarok is a long, wide, and stiff ski. The shorter running length does help in tighter terrain when it’s smooth, but if you’re dealing with firm snow and ruts in the trees or bigger moguls, the long, stiff tips and tails can hang up. I had to be more deliberate and work harder to unweight the Ragnarok enough to make quick turns in these conditions. Overall, there are skis in this class (like the Moment Governor) that are better suited for bumps and trees when conditions get firm. So if you tend to ride your powder ski in a lot of volkswagen-sized bumps or tight trees in a variety of conditions (i.e., not just powder), I’d probably look elsewhere. However, in less demanding firm-snow conditions, the Ragnarok still felt perfectly comfortable. I haven’t skied the Ragnarok in really steep or really variable conditions. However, I have skied it in pretty firm chop — the kind that’s seen a bit too much sun or moisture. And in these conditions, the Ragnarok is quite stable and powerful with great suspension — lean into the front of your boots and blast through it. And after the wind had blasted the peaks for several days, scouring the crud to a smooth-ish, extremely firm surface, the Ragnarok still displayed excellent suspension. While I noticed the shorter running length again, it still had enough torsional stiffness to hold on in a high-speed carve. Making slower, more deliberate turns in firm snow on the Ragnarok doesn’t feel all that natural (which is not surprising for a ski this wide and this straight). There’s good reason why all-mountain skis tend to be quite a bit narrower underfoot. Overall, though, the Ragnarok does perform well for its class in firm, variable snow. First off, a ski that only comes in a 190 cm length isn’t for everyone. That said, I think a lot of expert skiers would really enjoy the balance that the Ragnarok strikes. I wouldn’t exactly call it “fun” in the sense that it’ll make you want to jib, butter, and trick every little air. So if you describe your style as “playful” and are coming from a park background, I’d steer you towards other skis. 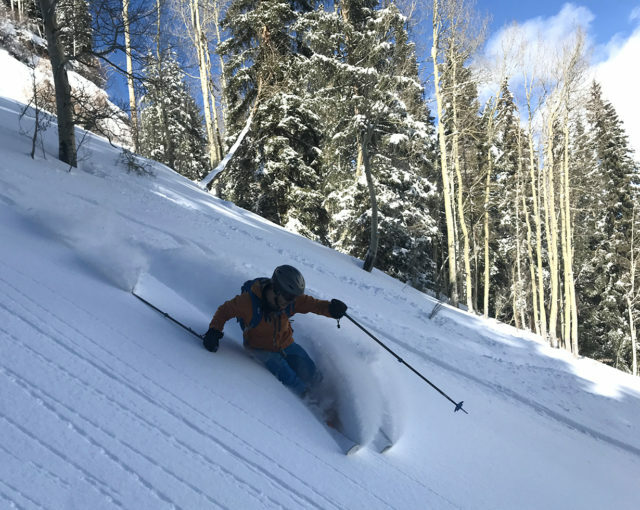 But if you’re looking for a longer powder ski that isn’t too demanding, but still provides good suspension for skiing through chop at speed, the Ragnarok is definitely worth a look. Despite a name that implies it’s some sort of beast of a ski, the Ragnarok is surprisingly accessible. Whitedot has struck a very nice balance between approachable and hard-charging, a task that isn’t easy to do. In firm conditions, the Ragnarok loses a bit of that approachable nature, but still maintains above-average stability for a ski of this width. At the end of the day, this is a 118mm-wide powder ski, and that’s where it shines — in untracked powder and soft cut-up snow. In these conditions, it exhibits outstanding suspension and stability while still being surprisingly approachable. The review of this ski is intriguing to me. I’m researching a pair of boards for a heli trip to the Chugach and other pure pow days in Tahoe. 5’10”, 155 lbs so metal in a ski isn’t really my friend although I do ski hard directionally — no switch or buttering. Skill level is quite advanced, but smart. Wide, fast, fall line turns make me smile. I’ve been looking hard at the Moment Governor, but your review of this ski peaked my interest. Appeal of Governor is minimal tail rocker and some camber which I feel comfortable with. This ski seems to address what I would do with it — untracked snow and open lines; no bumps or tight trees. However, the deeper rocker profile may be unnecessary for the type of skiing I do. For some context, the Volkl Confession looks like it would be ideal, but (i) based on your review, this ski may be more appropriate and (ii) the Confession has metal in it and that “locked in” turning feeling so wondering if my weight would be a negative, notwithstanding my experience and skill. Any thoughts greatly appreciated. Love this site and your detailed reviews. Keep it up! !